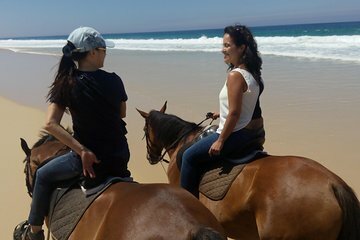 Lisbon is better known for trams, but adventurous travelers can try their hand at horse-riding with this private, coastal horseback tour. Soak in the picturesque views of the Sado Estuary, as you ride a horse along the white sands of Comporta. This horse-riding tour is also totally beginner-friendly, making it accessible for most travelers.